Running low on notebooks? Don’t let those ideas float away- jot them down in one of these notebooks by Metaphys. 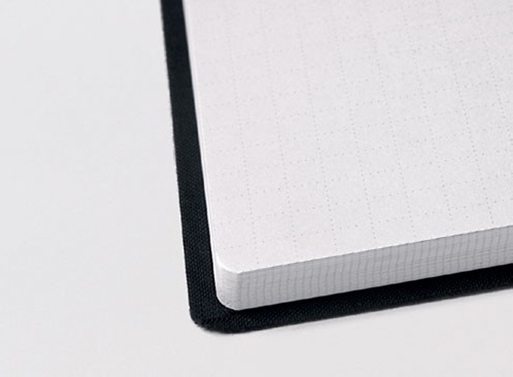 The Blanc Notebook’s pages are rounded to avoid snagging and bent corners while the semi-rigid cover protects the high-quality Japanese paper. Pages take ink beautifully and tear out easily. Did you notice the subtle gray dotted lines? They give you a graph if you need it; they’re light enough to ignore if you don’t. Available from A+R Store, $19.00.